KenXinDa has launched a wrist mobile named as W1 Watch GSM Phone Touch and Slider. This watch mobile looks cool and fashionable with the comfortable wristband. It's so cute, athletic and fashionable that you will like to have one. It comes with a slider and alphanumeric keypad to allow user to type with ease. It operates at a frequency of GSM 850/GSM900andDCS1800/PCS1900. It comes with Dual SIM slot that lets you enjoy two different connections at the same time and have a balance between your personal and professional life. 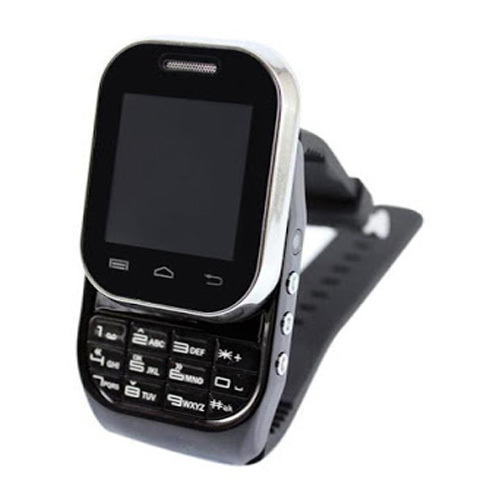 Features: Dual SIM (GSM + GSM) ,Slide Keypad + Touch,Multy Language,GSM 850/GSM900 DCS1800/PCS1900, MP3, MP4, AVI, 3GP,Digital Camera FM radio and Bluetooth.